With the Mets “probably” adding Edwin Diaz as their new closer, the Mets are at the beginning stages of building a brand new pen. As we all know the Mets bullpen wasn’t good last year, the Mets need more than Diaz to build a dominant bullpen. Mike Puma from the NY Post reported that the Mets are looking to add one of Robertson/Miller and a multiple innings guy like Adam Warren. 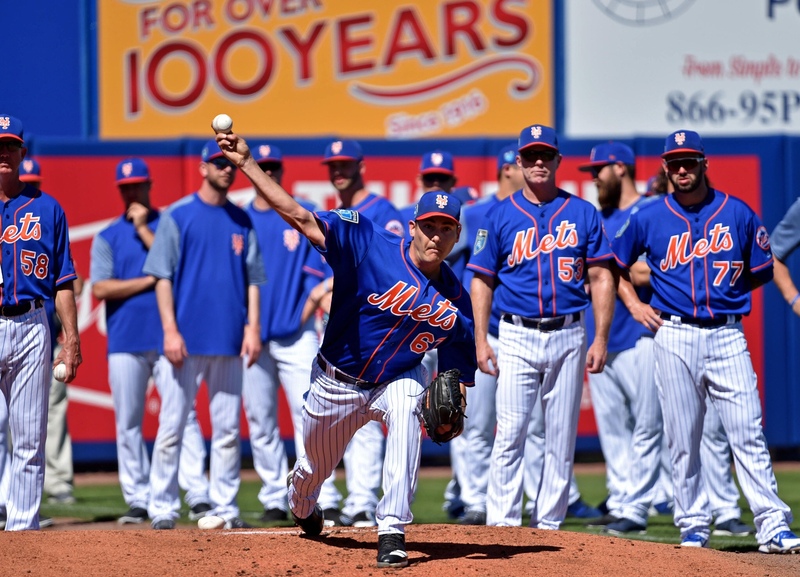 Could this be the Mets opening day bullpen? Edwin Diaz is a beast. In all likehood he will become the new closer in the next couple of days. Diaz had a dominant year in 2018 at the age of 24. Diaz pitched to a dazzling 1.96 ERA with a miniscule 0.79 WHIP. He was close to impossible to hit, to go along with a 15.22 strikeouts per 9. Diaz had just one month with an ERA over 2 in all of 2018 (May 5.02). He is on of the best closers in the majors. I think the Mets will sign Andrew Miller as there set-up man. Miller, who’s coming off a down year with a 4.24 ERA in just 34 inning, had a injury riddled year as Miller dealt with knee issues. Before the 2018 season Miller had 2 straight years with a sub-2 ERA, so there is plenty reason to believe he will bounce back. Even with a down year he still held lefties to a .227 batting average against. I do think Miller can somewhat bounce back and be a very important piece. In his first season pitching “mostly” out of the pen, Lugo was outstanding. He pitched to a 2.66 ERA in 101.1 innings, making his ability to spot start/go multiple innings extremely valuable. In this pen Lugo will have a different role as the guy who probably go the 6th-7th with a lead or later innings with a small deficit. He won’t need to close many games. I think thats extremely valuable to have these days and gives you the opportunity to stay in games with a very good reliever with a small deficit. Adam Warren has jet another solid season out of the pen. The righty pitched to a 3.14 ERA splitting the 2018 season between the Yankees and Mariners. Warren has been steady most of the career, pitching to a 3.42 ERA over his career. Warren is another multiple inning reliever with starters experience in 2015, which helps the bullpen stay fresh. For Gsellman I see a way different role in this pen. I see him more as the long man who, like Warren and Lugo, will give you multiple innings. That’s not the difference for Gsellman, its more when he will be inserted into the game. I don’t see Gsellman getting much late inning, close game outings. However, I do see him getting into the game early (if needed) or give us innings with a big lead or deficit. Gsellman pitched to a 4.20 ERA in his first season in the pen, pitching 80 innings. Gsellman is another guy who could make an occasional spot start in this role. I loved what I saw from Zamora at the end of the 2018 season. The slider artist struck out 16 batters in (just) nine innings pitched. He held lefties to a 0.86 WHIP, but was great against RH as well. Righties hit just .154 against him, but he did have more trouble with walks against the RH. Zamora also had a strong strikeout game in the minors as he struck out over 12 per nine in AA. I know he has a very small sample size in the minors, but we have seen that hitters had a hard time hitting that devestating slider. And with him throwing it so much hitter knew that the slider was coming and still couldn’t hit it. From all the arms we have seen last year, I picked Bashlor to stay in the Mets MLB Pen. Bashlor has great stuff including a great FB/slider combo. Bashlor had trouble with the long ball, and struggled a bit in his first month and a half. After his innitial struggle, Bashlor ended his season on a high note. He struck out more batter and pitched to a 2.45 ERA in September. Bashlor did strikeout just 25 in 32 innings overall, but in September he struck out 10 in 7.1. All positives in his final month as he hopefully got more comfortable. In this pen Bashlor won’t have to worry about high levarage spots and can ease into a more important role later in the season. There are a few other names in the mix for the bullpen. The Mets have Drew Smith, Bobby Wahl, Eric Hanhold, Paul Sewald and Jacob Rhame getting time in the bigs. I think we have seen that Rhame and Sewald wouldn’t cut it so Wahl, Hanhold and Smith are next in line from within the organization. Also see the Mets getting some more depth outside of the organization. I think this is a reasonable possibility for a very strong and versatile pen. Who do you see in the Mets pen? Previous Mets acquire Robinson Cano and Edwin Diaz, pending physicals. Next Is Kluber next on the Mets Christmas list?